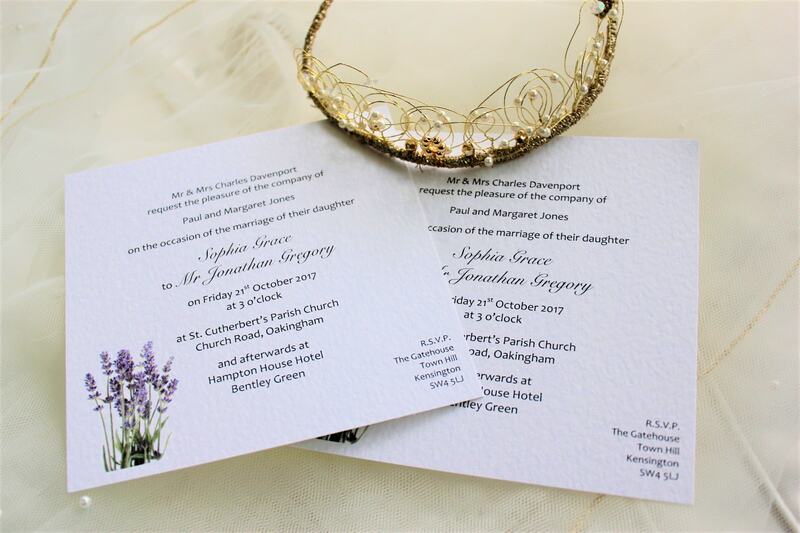 Lavender Flat Square Wedding Invitations are beautiful personalised wedding invitations supplied on a thick heavy weight (270gsm) hammered card and are available in white or ivory. 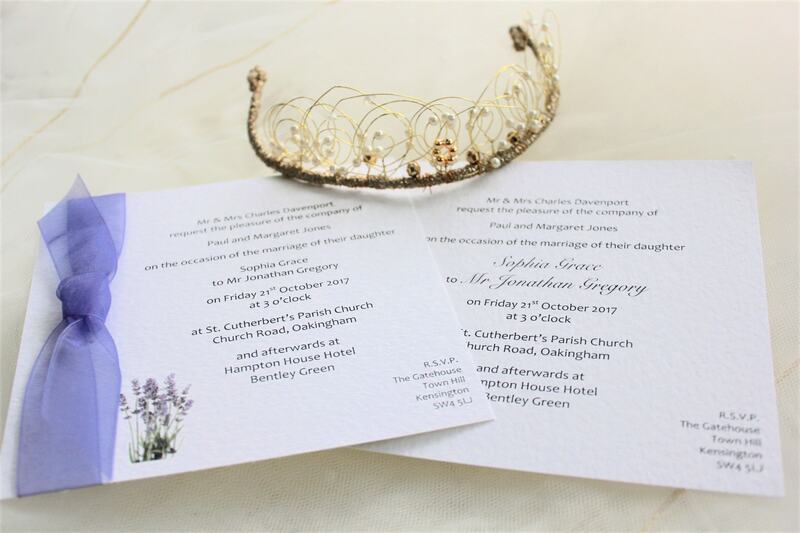 This wedding invitation style is part of our Lavender Wedding Stationery Range. 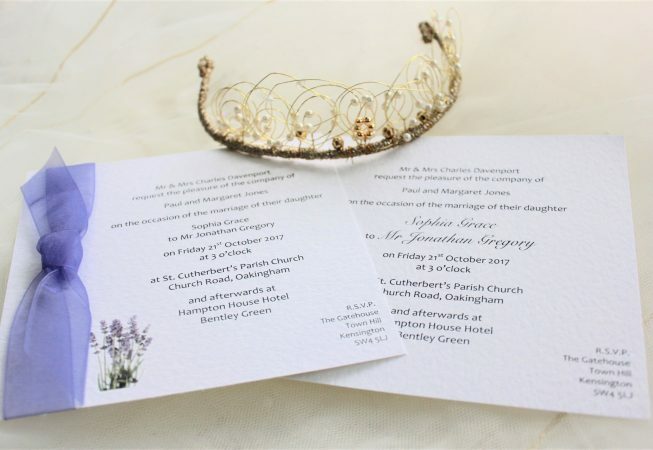 Our Lavender Wedding Stationery is right on trend for informal themed country weddings. Imagine an informal country style wedding with Jam Jars, lilac gingham table cloths, wild country flower displays on the tables and hay bales scattered around the room. The aroma of beautiful Lavender lends itself to a relaxed, laid back feel to your wedding day. 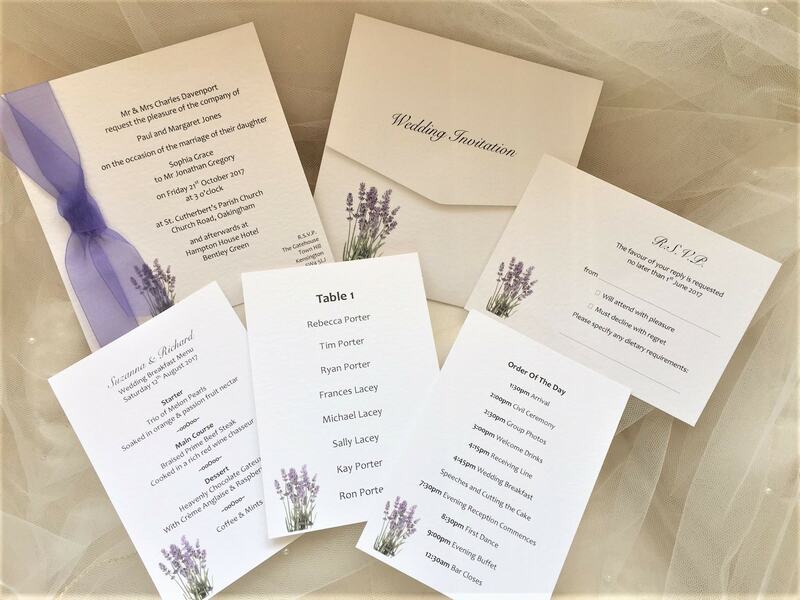 Free envelopes and free guest name printing (optional).